Ships today if you order in the next 2 hours 28 minutes. Aloe vera is beneficial for more than just sunburns. This soothing, cooling plant can also help improve digestive regularity, improve nutrient absorption and detoxification and support a healthy immune response. 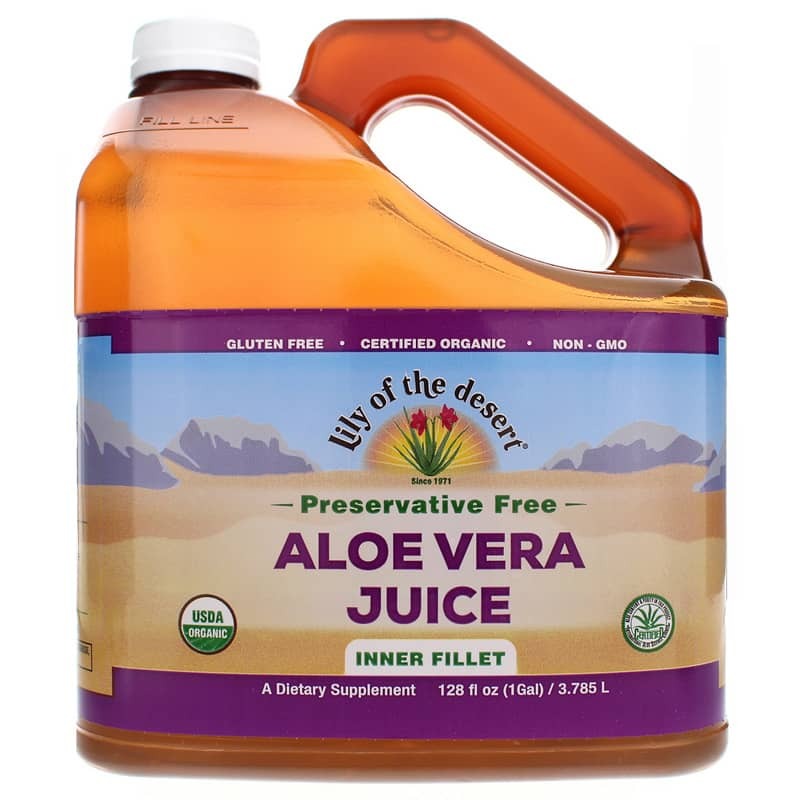 Lily of the Desert Aloe Vera Juice is a preservative free, certified organic aloe vera supplement containing more than 99% aloe juice and enriched with Aloesorb for improved nutrient absorption and immune support. Aloe Vera has been used since ancient times in many parts of the world, most notably for skin and wound care. 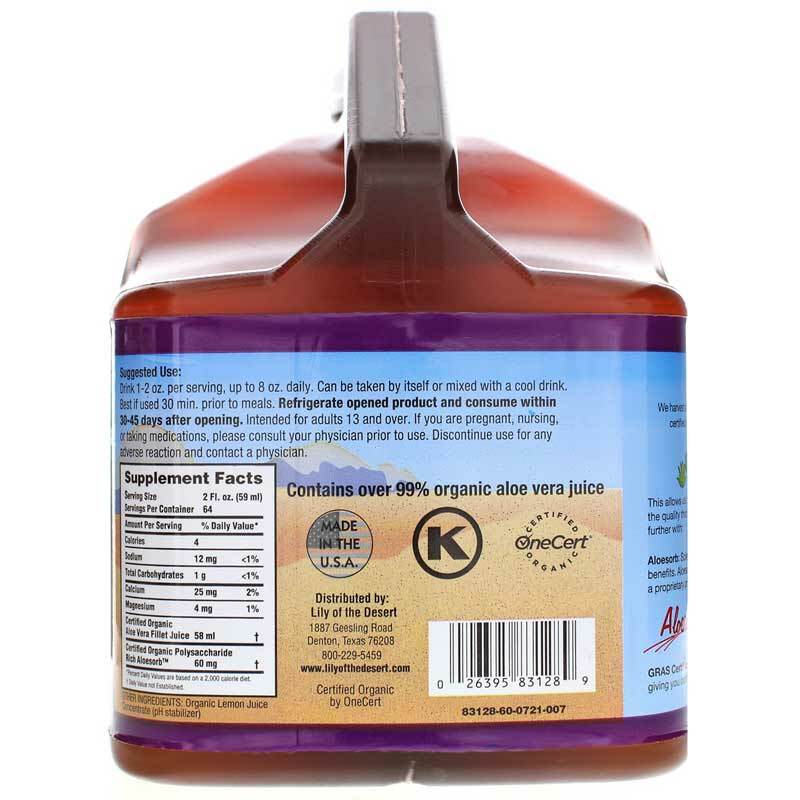 Aloe juice is rich in nourishing amino acids, vitamins, minerals and enzymes, as well as soothing, anti-inflammatory properties which may support healthy digestion, detoxification, muscle and joint comfort, and immune function. 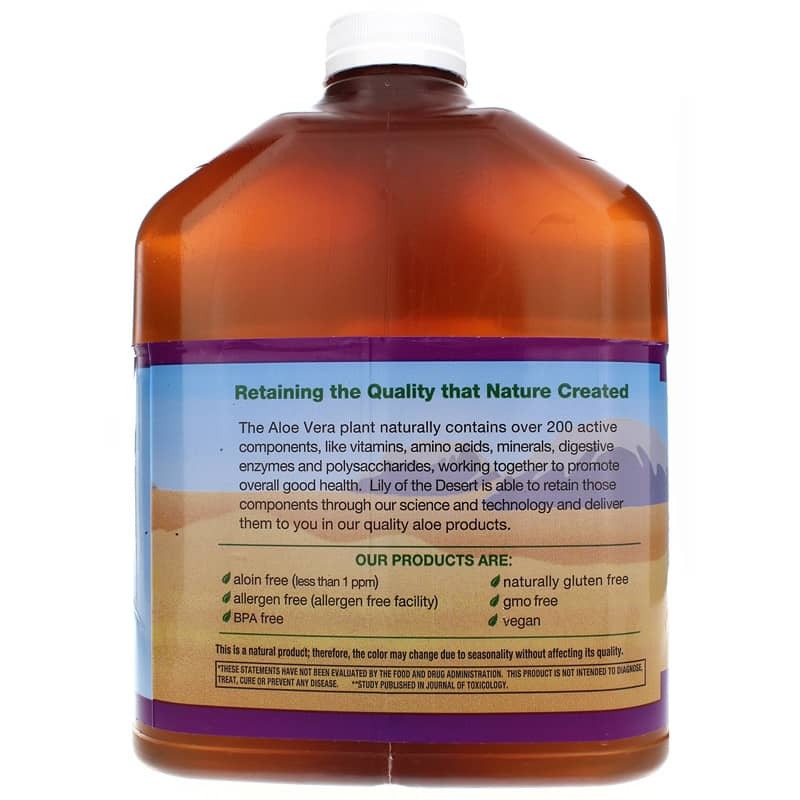 This aloe vera juice also features Aloesorb, a concentration of aloe polysaccharides from the inner fillet of the aloe plant. Polysaccharides are a type of carbohydrate that may optimize nutrient absorption and immune function, as well as supporting normal detoxification. This aloe juice makes a nourishing, refreshing drink any time of day. Just add 2 ounces to a glass of pure water or your favorite juice or smoothie. Restore balance to your digestion, help your body get the most from your other foods and supplements and keep your immune system strong throughout the year. Order yours now! Adults: Upon opening, refrigerate immediately. Drink 1-2 ounces per serving, up to 8 ounces daily. Can be taken any time of day, with or without food, mixed with any cool drink. For digestive health, take serving a half hour before eating meals. Recommended to consume within 45-60 days after opening. After using aloe vera juice years ago when I had an ulcer I have tried other products and other brand aloe vera and always been disappointed. 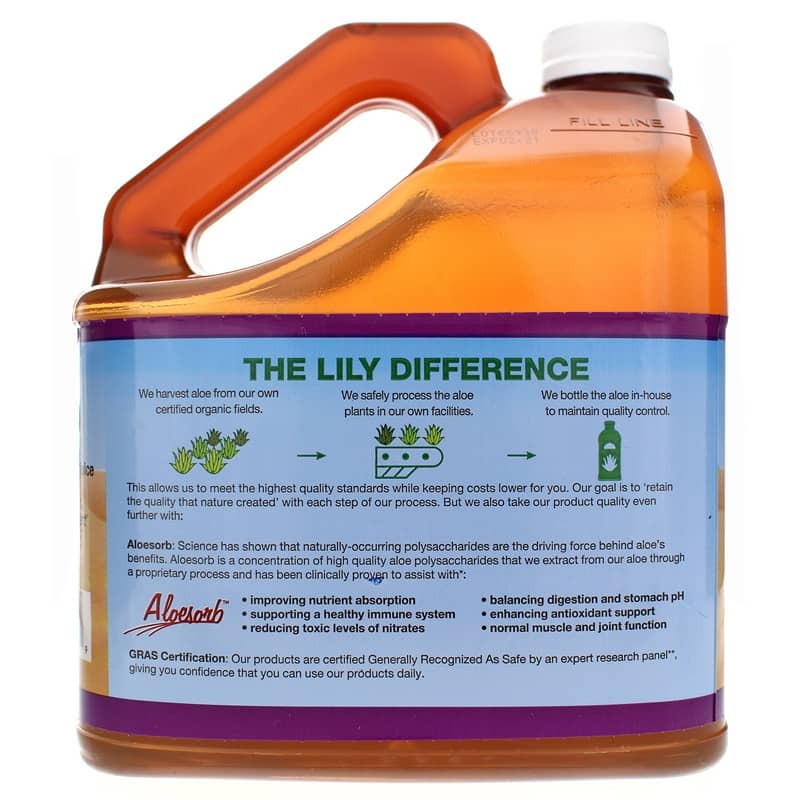 Lily of the Desert Aloe Vera Juice is a wonderful. No fillers or thickeners and no bitterness. Natural Healthy Concepts has been awesome when a delivery problem came up, too. I will definately be buying more.